A perspective defines the initial set and layout of views in the Workbench window. One or more perspectives can exist in a single Workbench window. In the same (existing) Workbench window. In a new Workbench window. Perspectives define visible action sets, which can be changed to customize a perspective. A perspective that is built in this manner can be saved, creating a custom perspective that can be opened again later. The Workbench window displays one or more perspectives. Each product determines initially what default perspective is displayed, in this example it is the Resource perspective. 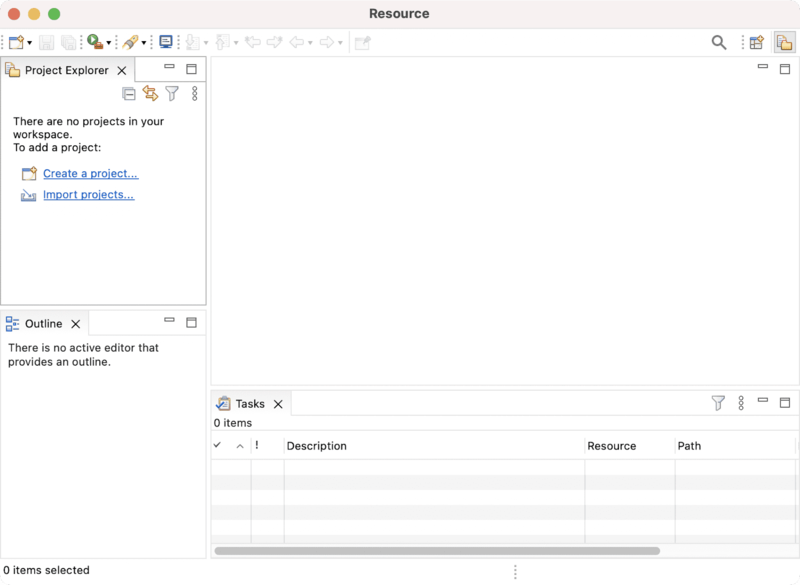 A perspective consists of views such as the Project Explorer as well as editors for working with resources. More than one Workbench window can be open at any given time. So far, only the Resource perspective (shown below) has been used in this tutorial. This section will explore how to open and work with other perspectives. A perspective provides a set of functionality aimed at accomplishing a specific type of task, or working with a specific type of resource.